NEW Secretary of State Karen Bradley has arrived in the north for her first official engagement since taking up her post. The MP for Staffordshire Moorlands was named on Monday as successor to James Brokenshire, who has stepped down on health grounds. She is expected to undertake an engagement in Belfast this morning. This morning she arrived at Belfast Met's campus in the city's Titanic Quarter to meet with teachers and students. Ms Bradley's duties as secretary of state began yesterday with a series of phone calls to the leaders of Stormont's main parties. 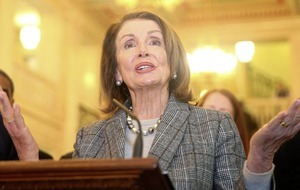 She has said forming a new executive is her "top priority". 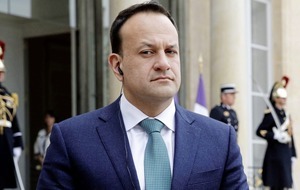 The north has been without devolved government since Sinn Féin deputy first minister Martin McGuinness resigned a year ago, triggering the collapse of the institutions. 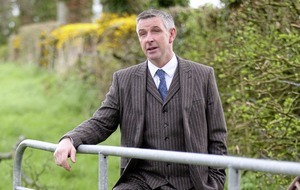 Subsequent months saw two prolonged rounds of talks overseen by Mr Brokenshire conclude without agreement. Ms Bradley is now expected to begin efforts to restart negotiations. 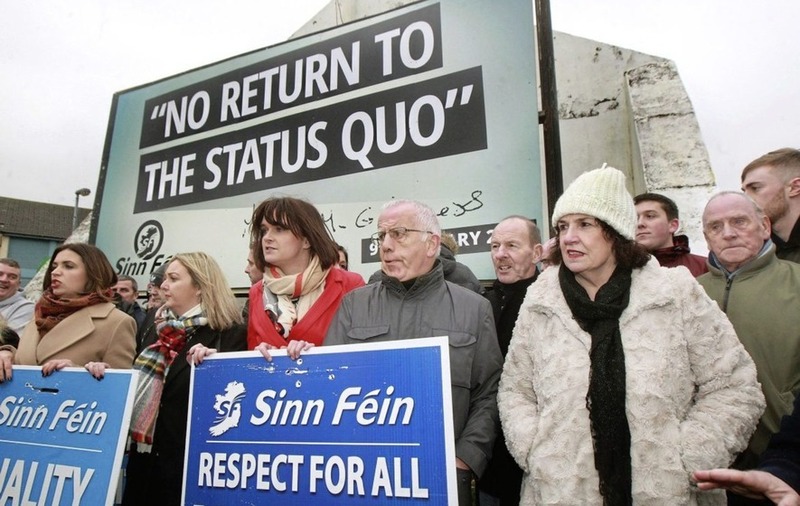 Sinn Féin yesterday erected a billboard at Free Derry Corner in Mr McGuinness's native Bogside, quoting his declaration on resigning that there would be "no return to the status quo". His widow Bernie was among those attending the rally. Sinn Féin northern leader Michelle O’Neill last night said she told the secretary of state in their phone conversation that the British government needed to "change its approach" if renewed efforts to restore the executive are to succeed. "They have not acted with the rigorous impartiality demanded of them by the Good Friday Agreement and therefore cannot be seen as an honest broker in any negotiations process." the Mid Ulster MLA said. "This partisan approach has only been underlined by their pact with the DUP which completely eradicated any last pretence of impartiality. "However, I am determined to try and reach agreement on the right basis which can restore equal partnership government in the short time ahead." 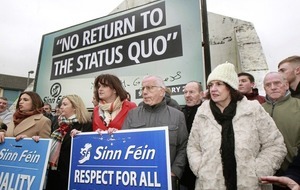 Ms O'Neill said the Tories needed to "stop enabling and defending the DUP’s denial of rights". "I told the secretary of state that an immediate measure she should take to instil some confidence in the process would be to finally grant the lord chief justice’s request to release the required funding to allow legacy inquests to go ahead." DUP leader Arlene Foster, whose party's 10 MPs prop up the Conservative minority government at Westminster, said she welcomed Ms Bradley to her new post "and I look forward to establishing a strong working relationship in the months ahead". South Belfast MLA Christopher Stalford meanwhile accused Sinn Féin of walking away from attempts to restore the assembly and ignoring "everything beyond their own narrow base”. SDLP leader Colum Eastwood said he had wished Ms Bradley well in her new post but stressed the "urgent need to bring parties together for inclusive talks". "I also made clear that the talks must avoid the failure of the 12 months and should be chaired by an independent arbiter," he said. "We cannot undergo the same discussions, in the same format, with the same people and just cross our fingers for a different result – our hospitals, schools and other public services are on the brink." Meanwhile, North West Cambridgeshire MP Shailesh Vara has been appointed as the new parliamentary under secretary of state at the Northern Ireland Office, replacing Chloe Smith.